The veneration surrounding Shakespeare has been responsible for some dire productions over the years. 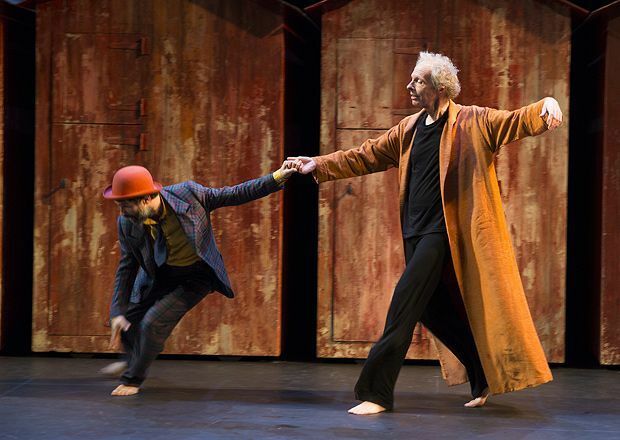 Fortunately, Dan Jemmett approaches Twelfth Night with an appropriate respect – little – and, in translating it into French and an end-of-the-pier show, pokes benign fun at Shakespeare's well-known comedy. The characters, reduced to routines by Jemmett's interpretation, are exposed as shallow and poorly developed: the proclamations of love and commitment are revealed as trivial hopes and the final scene – in which all is resolved – is ridiculous. Instead, the ensemble take pleasure in a light physical comedy. The torture of Malvolio becomes a magic routine, the jester a sardonic American stand-up comedian, the twins a one-woman double act. It's gentle humour for the most part, but it does suit the script, finding a style to replace the comedy lost in the time between the play's first productions and today. The collision of French physical comedy and the intricate, but facile, plot of Twelfth Night does not always cohere, but the finale resolves the tension into a sequence of witty set pieces that allow the actors to show off their skills and finish the evening with some broad laughter.